Grace-shaped youth and children’s ministry for the 21st century. 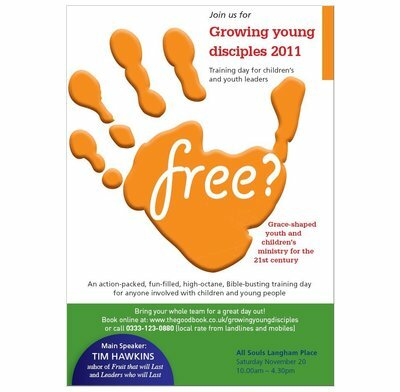 All the talks and seminars from the action-packed, fun-filled, high-octane, Bible-busting training day for those involved with children and young people held at All Souls Church in November 2010. Whether you’ve been working with children or young people for 4 weeks or 40 years, the talks from this training day will encourage, inform, enthuse and equip you for your vital role of bringing the gospel of God’s grace to the next generation. An engaging mix of main sessions to sharpen your thinking on exactly what the message of grace is, and practical ‘how to’ sessions to scratch where you’re itching. All designed to help your ministry be effective, long lasting and pleasing to God our Father.